Informal chats – Daily feedback can be obtained verbally through personalised meet and greeting times at the beginning and end of sessions. 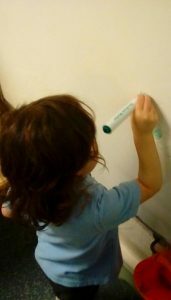 Home Link Books – For parent’s that do not drop of or pick up children we use ‘home link books’ to keep parents and practitioner up to date with the children’s development. Formal Parent Evenings – We also hold two parent evenings per year to seek the views of parents and discuss the development of their child. Questionaires – We also use parent’s questionnaires and a suggestion box. WOW Sheets – We have ‘Wow’ sheets for parents to complete. Parenting courses, school readiness meetings – We recognise being a parent as well as being the most amazing experience can also be a very challenging and exhausting job. 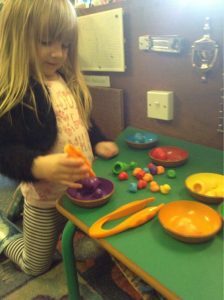 To aid our parents we work closely with our local children centre to ensure we offer courses and advice for all parents. We do consider our rapport with parents to be a significant strength of the setting as recognised in past inspections although we continually reflect on how this can be improved further.